I really like your photos. You are good. I wonder if it is okay with you if I practice some post production on some of your stuff? I have a blog where I, should you give me permission, will post the edited pictures in small sizes along with a link to your original and credit to you. If you don’t want me to do it, please tell me and I won’t. The blog I use is found at remixandrepost.wordpress.com. Feel free. It would be cool if you give me credit for the photos you use and maybe link my site as well. Thanks! Of course I will credit you and put up a link. Sure. Which photo were you thinking of using? I’d love to see the finished result. I was thinking maybe the one of Panama City apartments, that one seemed like it would be perfect for watercolor. 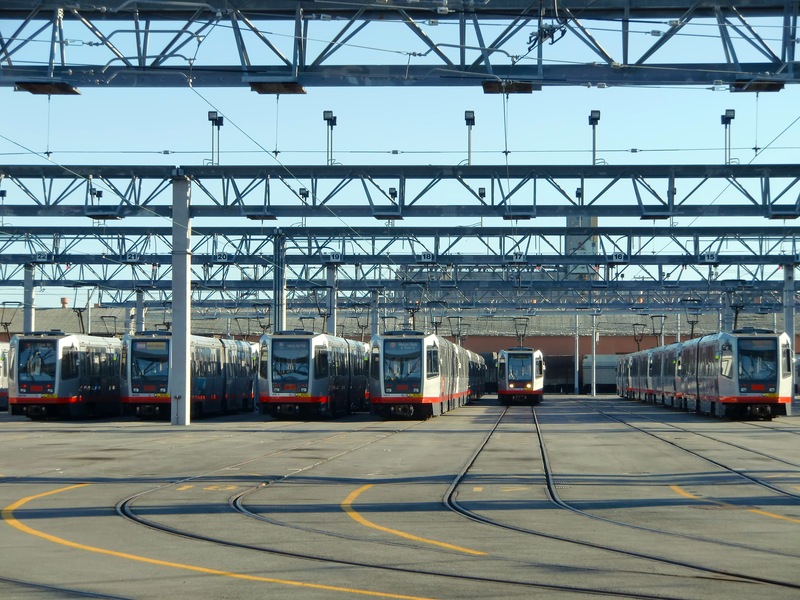 We love your image of the SF Muni trains. With your permission we would love to use it in a collateral piece for one of our events. As always we will place proper credit and bylines. Please email me at lhadden@spur.org or call 415.644.4293 if you would like to discuss or have any questions. Im doing a Collage for a Mural inside a peruvian restaurant in Miami and I would love to use some of your photos in my design. Proper credits will be given. Thanks Kris. I’d love to see what the finished mural looks like. Good luck! I will definitely send you a link so you can see it. Laying out a nonprofit magazine article about Detroit, would be interested in using some of your photos. Will most defiantly give credit to you. And I can send you a link when it is finished? Yes, you have my permission. Please give credit and a link would be great. Thanks! Hi Randy, I’m putting together a manual for rowhouse owners in Philadelphia. I’d like to use your photo of the rowhouses on Washington Ave. as the primary image on six section dividers. (The photo would be cropped to include just the buildings.) Is this all right with you? You would be given credit in the front matter; I can include a link to your website as well. Hi Randy, I’m laying out a rowhouse manual for homeowners in Philadelphia. I’d like to use your image of the Washington Ave. rowhouses (cropped around the buildings) as the primary image on 6 section dividers in the manual. Is this all right with you? You would be given full credit and a website link in the front matter. You have my permission to use the Washington Ave Rowhouses pic, but please give proper credit, and a link would be nice. Hi, I was hoping to use your Hong Kong apartment photograph for the cover of a free EP. Is that alright? You’ll be credited of course. Happy to give more details if you have a contact email address. That would be fine. What is your email address? Hi Randy, love your pics. My friends and I are running a artmagazine in Sweden called Cre. Would it be ok if we quoted one of of your photos (turning it to bw) and publish it? (A women standing in a street vendor with a smiling face). We really have no budget, its a heart and soul work that we do out of our pockets… So sadly we can´t pay you, but we always credit our artists and can send a copy of the magazine. Thanks! You can absolutely use my photo, but I would appreciate a credit. If you could send me a copy of the magazine that would be awesome!! Do you have an email so I can give you my mailing address? Thanks in advance and proper credit will be given and I’ll email you the cover art as well. You have permission, and yes please give proper credit. What band is the album cover for? Definitely send me the cover art, and I’d love to hear the music too! Hey Randy! Love you work. Is it possible I can have your permission to use pieces of your women with a wall picture for a poster/booklet/handout that I have to design for a school play? Thanks in advance and I will insure you receive proper credit. As a thank you I can email you the design I end up making with your photo. I’d love to see the final design. Please email me! Thanks! Hey I was just wondering, did you take that banner photo for your website? I can’t figure out what city that is. Cool photos though nonetheless.